Finding the right breeder is one of the most important choices you will ever make. Is your breeder making puppies for money or to improve the breed? Is it important to you that the parents of your puppy are proven in both Conformation and Performance? What level of support do you want from your breeder after you purchase? None, periodic or 24-7 for the life of your dog? 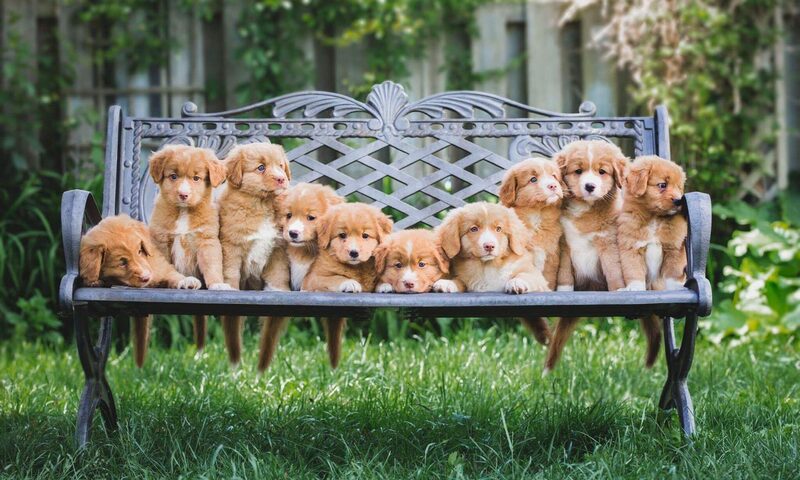 The sole purpose of the Red Shadow Kennels breeding program is to improve the structure, temperament and health of our Nova Scotia Duck Tolling Retrievers. As a result, we produce a very limited number of puppies per year from parents who are proven both in the show ring and in performance competitions. We focus our attention on these special puppies from birth, using the most current rearing and development techniques (including Puppy Culture©) available to create dogs who are extremely trainable and resilient to stress. Our puppies go on to work in therapy, hunting, scent detection, competitive obedience and, most importantly, as family companions. The Red Shadow accelerated early development program is not the only thing that makes us unique. We deliver on our lifelong commitment to the dogs and their families by providing a comprehensive support program for all life stages. Immediate 24-7 support to our owners. A New Owner Puppy Package including health insurance, first inoculations, microchipping, pedigree information, birth certificate and CKC Registration. Our New Owner Seminar series covering subjects like grooming, nutrition, vaccination protocols and how to manage veterinary costs. Regular White Papers on subjects like Puberty, Tooth Health, Vision and Eye Care, Water Toxicity and Parasites. Videos on training and grooming. Seasonal access to Dock Diving. Free Training Seminars covering everything from Dock Diving to basic to competitive obedience. A private Facebook Group for our owners to share their questions, successes and brags!